The place to discuss your favorite centerfire rifles. 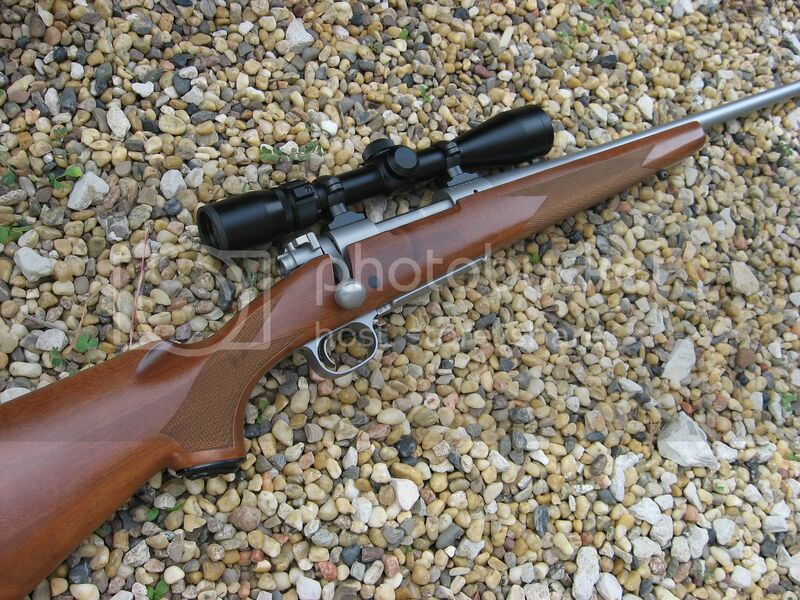 The composite stock was OK, but my favorite model 70 stock has always been the Sporter model, with a full sized fore-end and wrap-around checkering. I dug around and discovered that has New, Old-Stock (NOS) Winchester stocks, including the Sporter stock that I prefer. The one that I wanted for the 2-piece floorplate short action, with a metal grip cap was 250 dollars, a bargain as far as I was concerned. So, now I have something that you would have to order from the Winchester custom shop to own, a model 70 Sporter in stainless steel. Midwest Gunworks warned that these NOS stocks may have minor dings from storage, mine had a few but they were minor indeed. Now my Winchester looks like a new rifle. If you have a model 70 that could use a new stock, these would be good folks to talk to. I gave this stock a quick going over with Renaissance Wax, otherwise it is just as it came out of the box. Now to glass bed it, and install a Pachmyer decelerator pad. That rifle looks very nice with the new stock. Thank you, Bullseye. Most shooters do not care for stainless with wood, but I'm a big fan. The rifle shot well with the composite stock, but I haven't tried it with the new stock yet. The barrel channel needs to be opened up a bit to float the barrel, and I intend to glass bed it before I try shooting it. I owned a model 70 Sporter model some years ago in .338WM, and found that the stock fits me very well. The wood is OK but not outstanding. I like the checkering style quite a bit. My son and I are still debating whether to fit it with a softer recoil pad. 270WSM is not a big kicker, something just a bit lighter than a 30-06 or 7mm RM. I have a pre-64 .308 Palma gun with a wooden stock. It's a match gun and not for slogging around in the field so the wooden stock is great for the range. I do like the look of a nice checkered wood stock. I decided in the end that the red rubber pad will do. Even with the heavier 150 grain 270WSM loads that the gun likes best, recoil is stiff but not a problem. No bruising at any rate, and that's where I draw the line. Hogging out the fore-end to float the barrel was more than I bargained for. Quite a bit of wood had to go, but I finally got it to float. After the bedding job was finished, I tried it out and determined that it shoots well enough to keep, though it will never be a target rifle. So far it groups around 1.00 to 1.25 inches, if I hold my mouth right with the Winchester silver box 150 grain loads that I intend to hunt with. Shooting at eight-inch steel plates at 100 yards off-hand, I connected with fifteen out of seventeen shots. The stock fits me very well, just like my old .338 Sporter did. To give it time to cool between shots, I brought a .22 along to plink with. A lot of shooters think of the short magnums as a "laser" flat-shooter with the standard 130 grain 270 grain bullets. I get more excited about the 150 grain bullets going the same velocity as the 130's do with a standard 270 Winchester. I have a new scope on the way, so I can get my "shop scope" back, a older model Nikon Prostaff 3-9x40 that I keep around for emergencies. The new scope will be another 3-9x40, a Ziess economy model that costs about the same as the Nikon did. Now I am looking for a less powerful rifle that would double as a long-range varmint, and medium range whitetail/pig gun... Maybe a .243 or a 25-06. Sounds like you're all ready for some field work during hunting season. No deer hunting for me this year. I thought that I was going to, but family obligations keep me from traveling to North Texas or New Mexico.. Hunts here are very pricey, I can't see two grand for a mule deer, or five for an elk. I have a chance for a pig hunt, in the Glass Mountains just to the north of Alpine. The deer will have to wait though. They poop in my back yard all of the time, but those deer are just for looking at. The 270 WSM ought to do just fine on any pig that I might encounter here. My son talked me into skipping the Ziess scope and getting a Leupold 3-9x40 VX-2 in silver instead. -They do not make them any more, and I got the last one that the wholesaler had. I'll post a couple of pictures when it gets here. The new Leupold 3-9x40 in silver came in, and my son Charles (Mini-Me) mounted it for me. It has the regular duplex reticule, with no BDC bubbles. We fired a dozen or so of my low-velocity target rounds, and the scope did a great job, we were both very pleased with it. 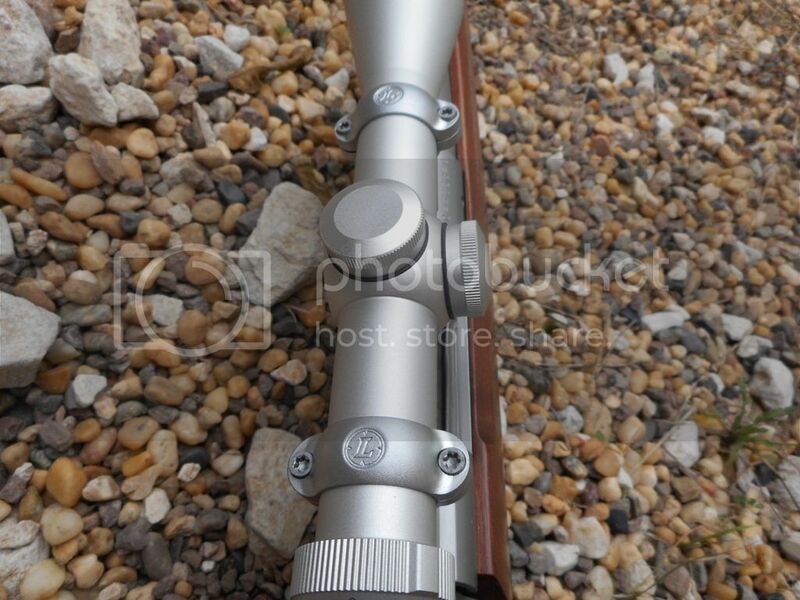 The scope is kind of a dinosaur, Leupold no longer makes that model in silver. After a few rounds to get it sighted in, we shot at golf balls at 50 yards. Now this rifle is all done, no more work remains on it. I may get a chance to hunt with it soon, a fellow invited me to reduce the pigs with him on one of the ranches nearby. 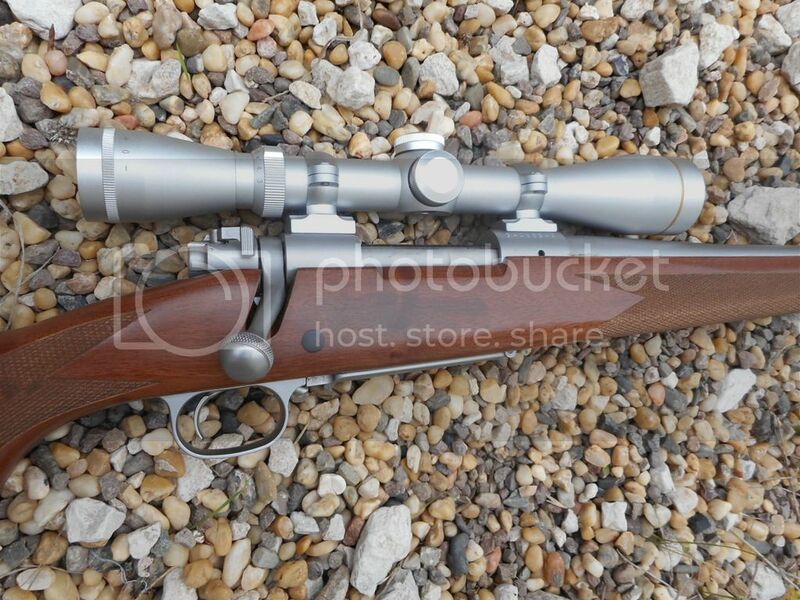 That scope goes real nice with the finish and stock on your Model 70.